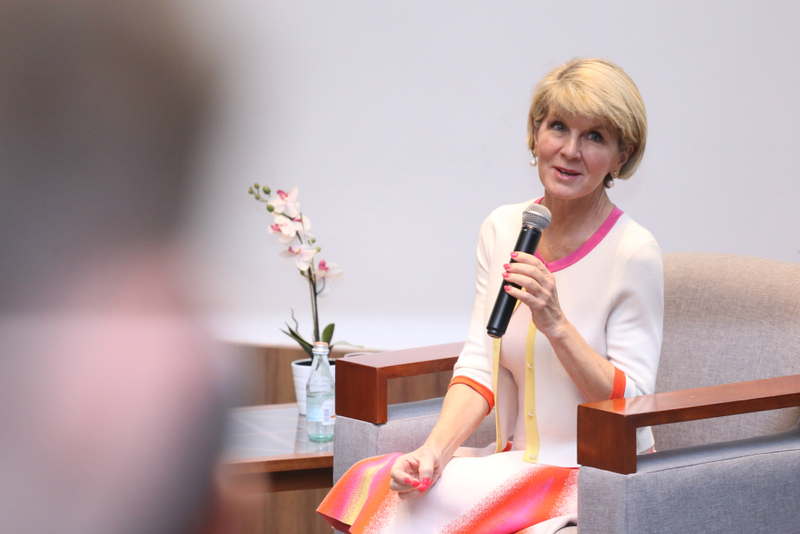 In conjunction with our 20th year celebration, we were honoured to host the Australian Minister for Foreign Affairs, The Honourable Julie Bishop MP, on 1 August 2018. The minister who was visiting Malaysia on a 3-day working visit, was welcomed by President and Pro Vice-Chancellor Professor Andrew Walker, Dato’ Sri Idris Jala who led the Monash University Malaysia Board members on behalf of Tan Sri Dato' Seri Dr Jeffrey Cheah, State Assemblywoman of Subang Jaya, Yang Berhormat Michelle Ng Mei Sze, and Australian High Commissioner to Malaysia, His Excellency Andrew Goledzinowski AM. 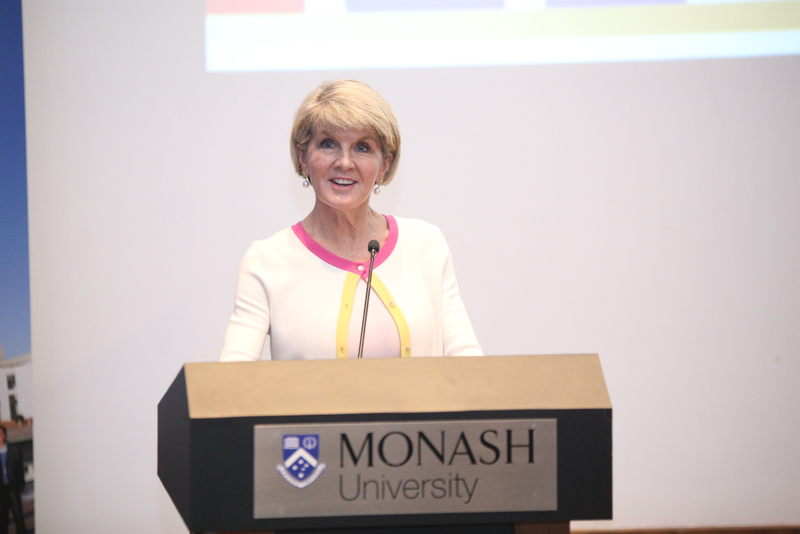 “I am delighted to welcome Australia’s Minister for Foreign Affairs here today. 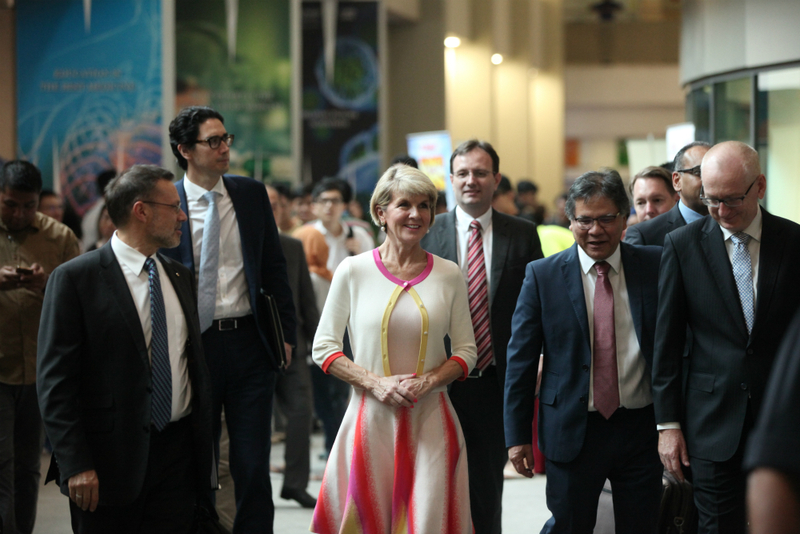 A hallmark of Minister Bishop’s career has been promoting educational engagement between Australia and Asia. 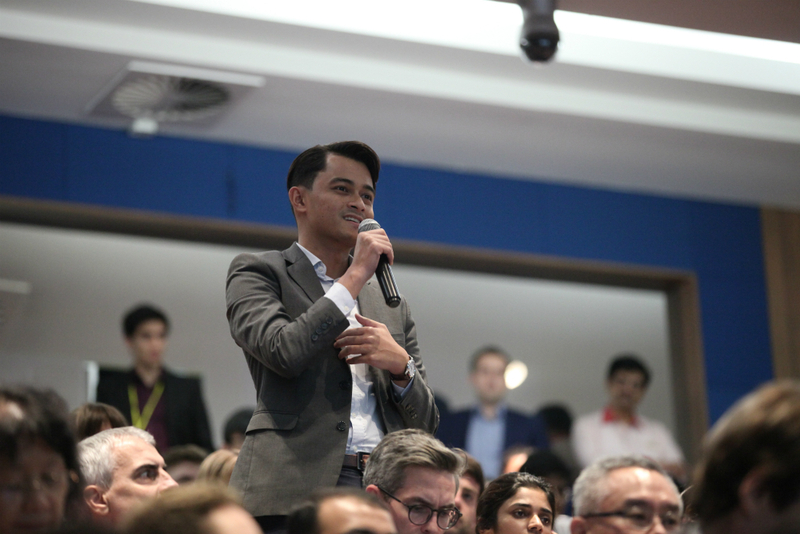 Here at Monash, we show just how rich that engagement can be. 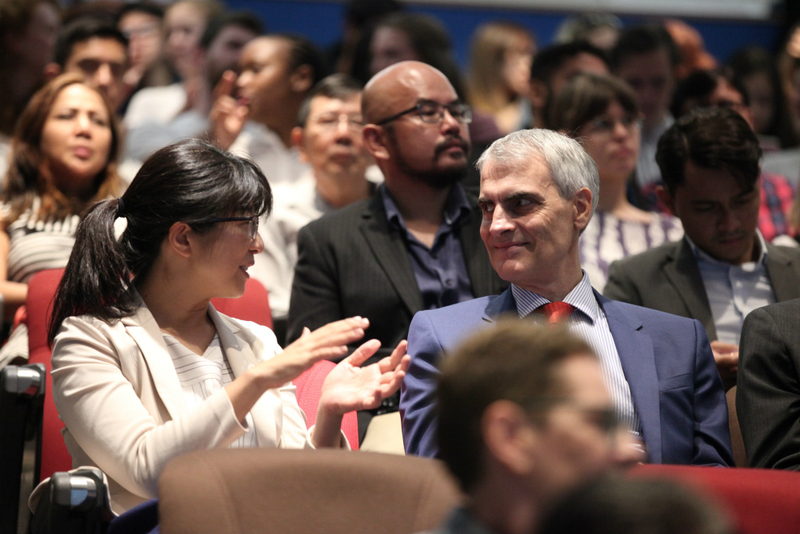 And I am proud that the Minister has honoured us with her public address today,” Professor Walker said as he welcomed students, staff, and visiting dignitaries. 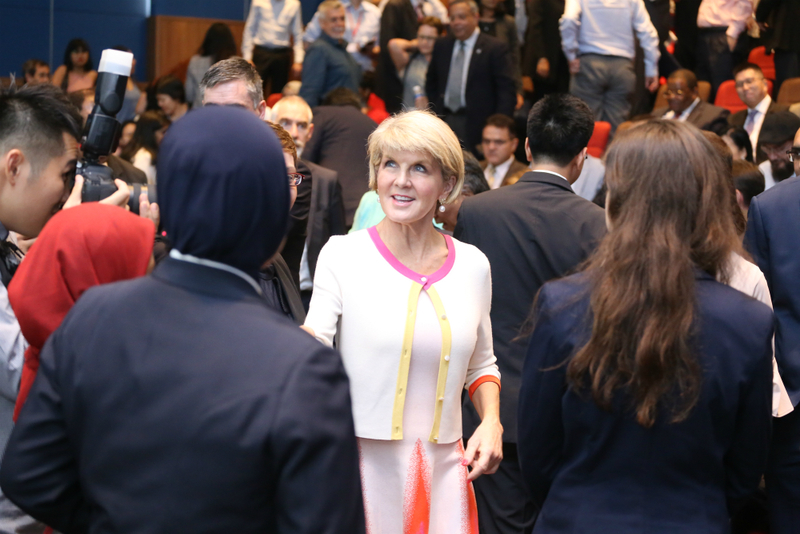 Though her first time here on campus, Minister Bishop is no stranger to Monash Malaysia. 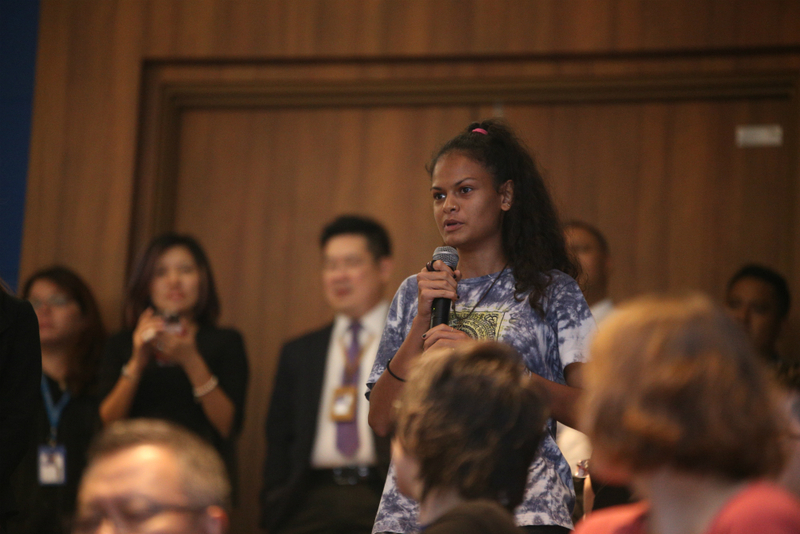 In 2015, Australian students studying here had the chance to interact with her at the Malaysian launch of the New Colombo Plan. 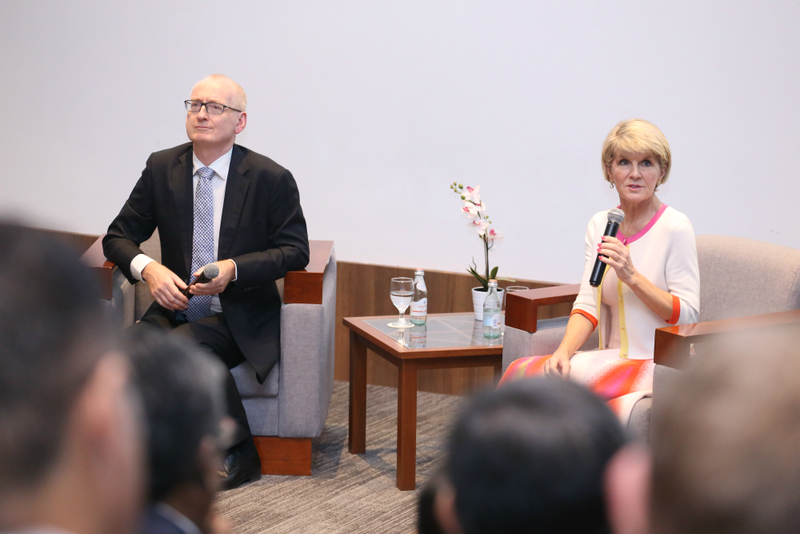 In her speech, Minister Bishop congratulated the new Government and stated how eager Australia is with deepening their long standing relationship with Malaysia: “What an exciting time it is to be here in Malaysia - the first change of Government since its independence is a historic moment for Malaysian democracy. 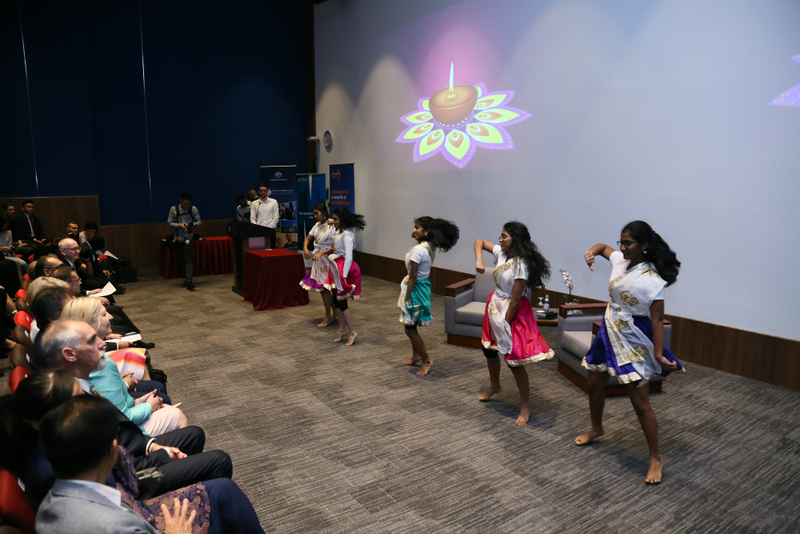 It’s a significant event for our wider region, the Indian Ocean Asia Pacific, where democratic foundations remain under development in many countries”. 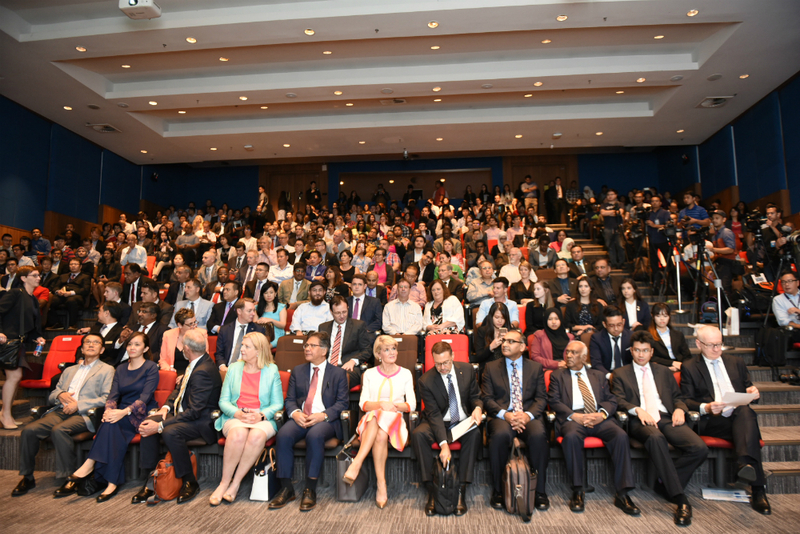 Sharing that she announced a bilateral gender policy dialogue in partnership with Deputy Prime Minister Datuk Seri Dr Wan Azizah Wan Ismail earlier in the day, the minister stated that there was a profound shift in women’s empowerment in Malaysia. In the last 10 years, women’s labour participation has increased by 8% to 53%. 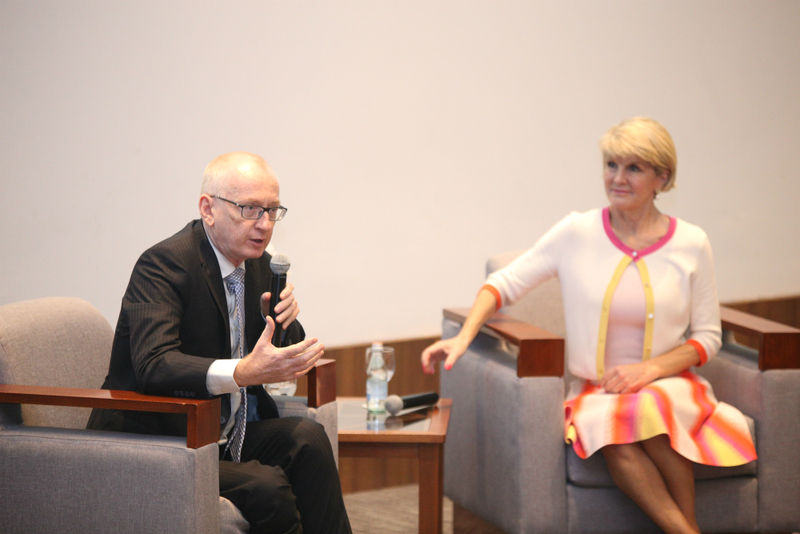 “One of the most powerful aspects of the relationship between Australia and Malaysia is our educational exchanges. 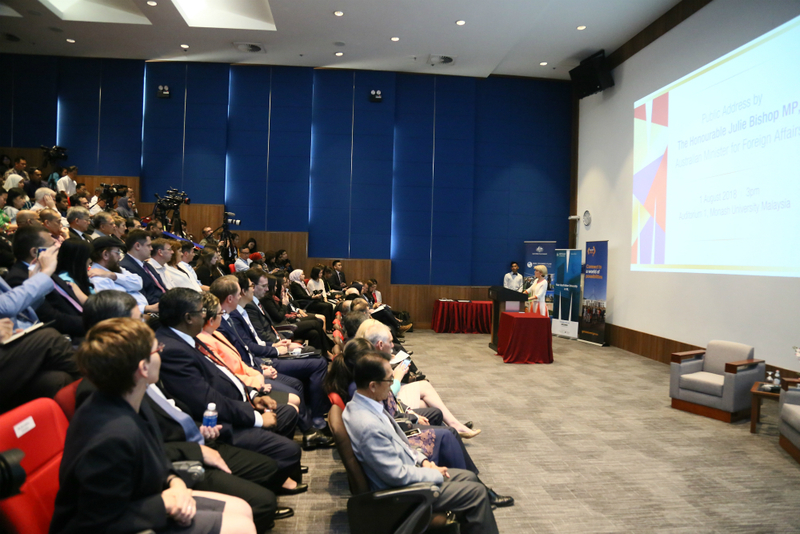 As Monash Malaysia celebrates its 20th Anniversary, it has obvious pride in the quality of its teaching and its research. 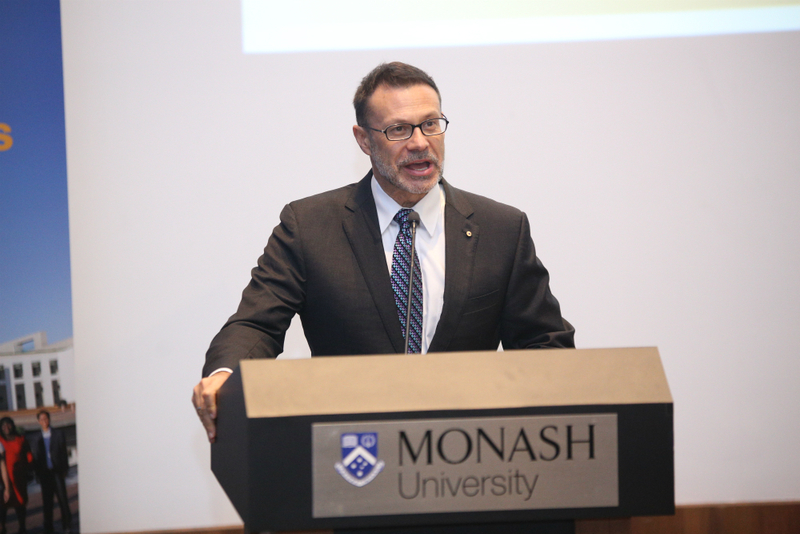 The largest overseas campus for an Australian University, this showcases the high quality and standards that Monash University achieves. 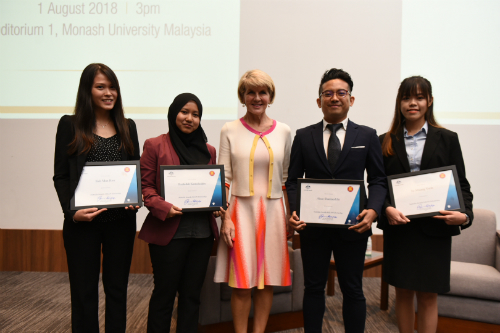 And this has been a remarkable success story - embedding a world class Australian university within a Malaysian community,” she added. H.E. 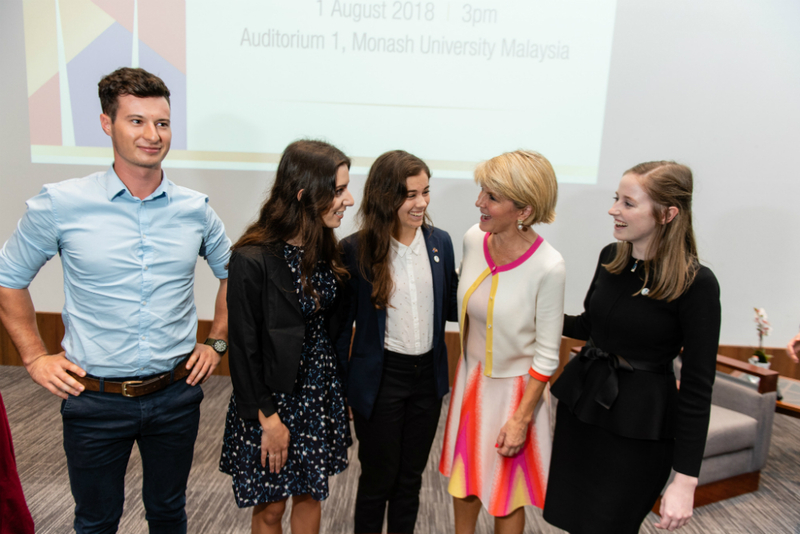 Andrew Goledzinowski AM announced the recipients of the Australia-ASEAN Council Grant, which were presented by The Honourable Minister. Jie Shuang Yeoh - plans to undertake a Masters of Architecture at the University of Melbourne to further her goal to provide sustainable design solutions. Rashidah Kamaluddin - plans to undertake a Masters of Planning at the University of Tasmania. Kah Mun Hon - plans to undertake a Master of Development Studies at the University of Melbourne.